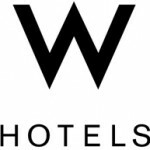 The W Hotel in San Diego basically foreclosed itself last week, telling their lender to take over as they would no longer be able to pay its mortgage payments. The hotel owner, Sunstone Hotels, made its decision as their low cash flows were no longer sufficient to continue with the property. Unfortunately, this may become more common as other companies continue to evaluate their portfolios while they are struggling to get out of this recession. There is no word on whether the hotel will continue its operations in the hands of the bank.